Established in 2003, the Coleman Entrepreneurship Center inspires our community to build businesses and create jobs that provide a positive impact. We do good by believing in creating sustainable business models that do well for the organization, community, and all stakeholders. We accomplish this through our events, partnerships, competitions, and DePaul's academic programs. Connecting our DePaul community with the strong entrepreneurial ecosystem in Chicago provides a hub for building, connecting, and launching a business for our students and alumni. The experiential skills we offer focus on entrepreneurship, innovation and creativity in all realms of business. DePaul's Coleman Entrepreneurship Center is a partner to the university's nationally ranked academic entrepreneurship program in the Driehaus College of Business. The center serves as an entrepreneurial hub for students, faculty and alumni, as well as the broader Chicago business community. Students can find real-world guidance about starting or growing a business. Chicago-area startups and other companies can find employees and interns. Seasoned entrepreneurs can connect with students to advise and mentor them as they launch new ventures. You'll find programs and events designed for students throughout the university, and many are open to DePaul alumni as well as the wider Chicago business community. 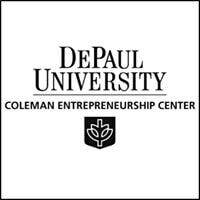 Allen is proud to be a Board Trustee at Coleman Entrepreneurship Center at DePaul University.